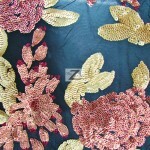 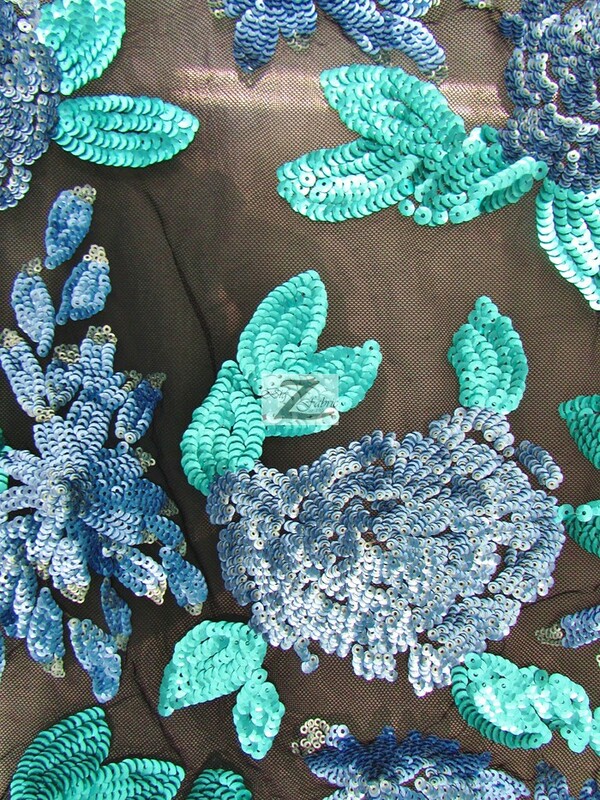 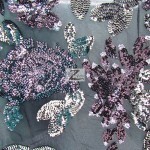 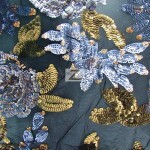 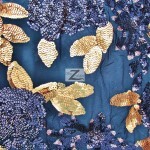 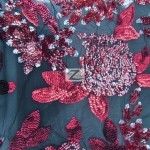 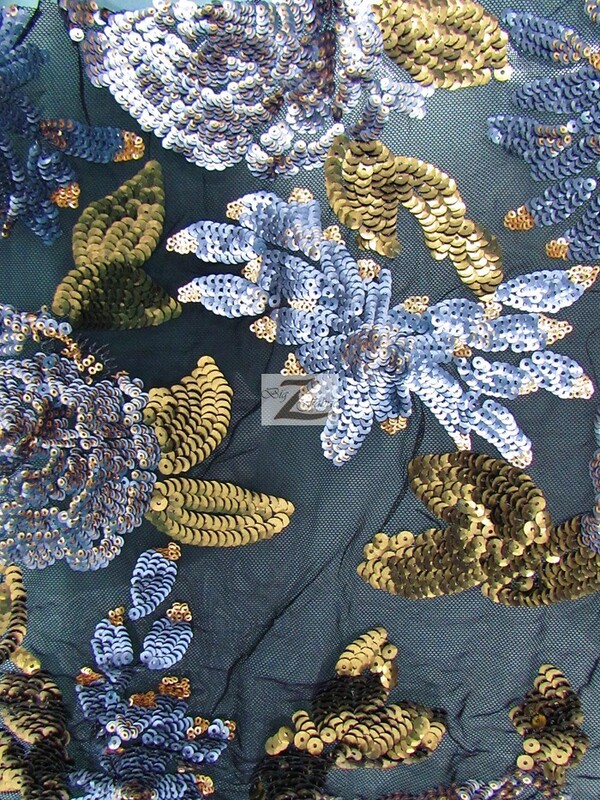 2 Tone Floral Bloom Sequins Mesh Fabric comes on a mesh backing and has shiny circular sequins. 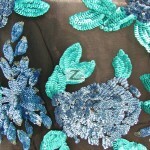 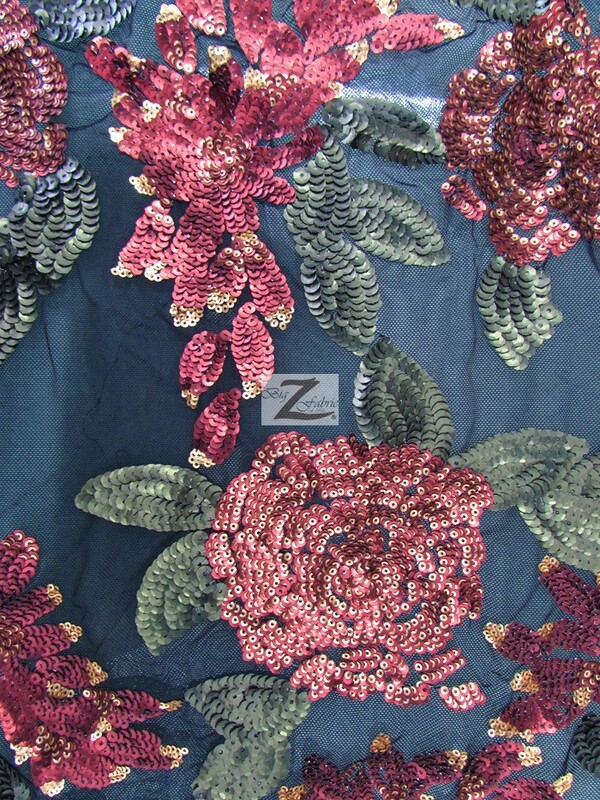 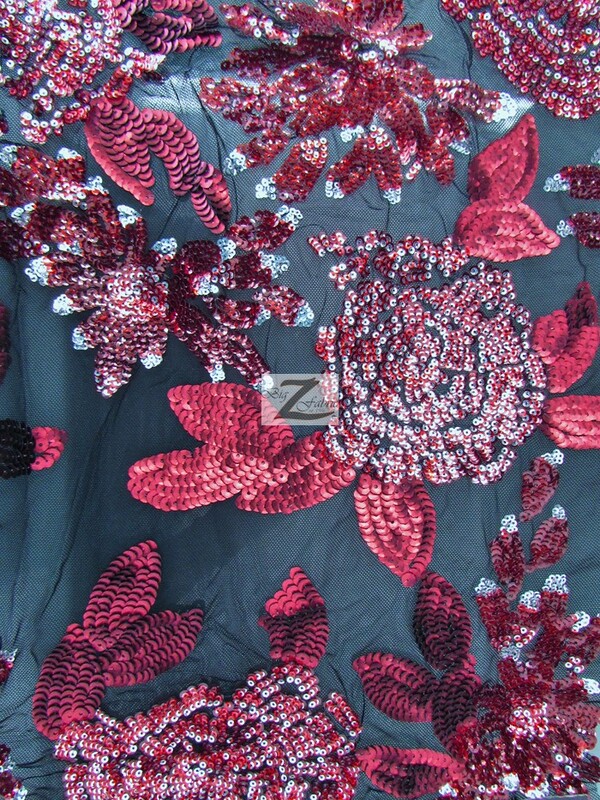 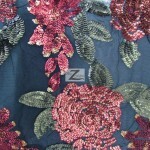 The floral pattern of the fabric is covered by two different color 2/8″ sequins. 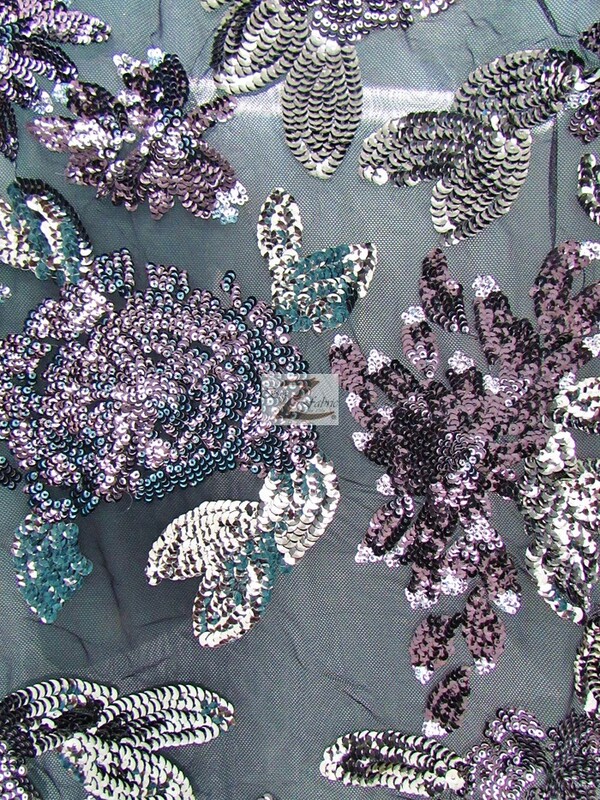 The width of the fabric is 56″(inches). 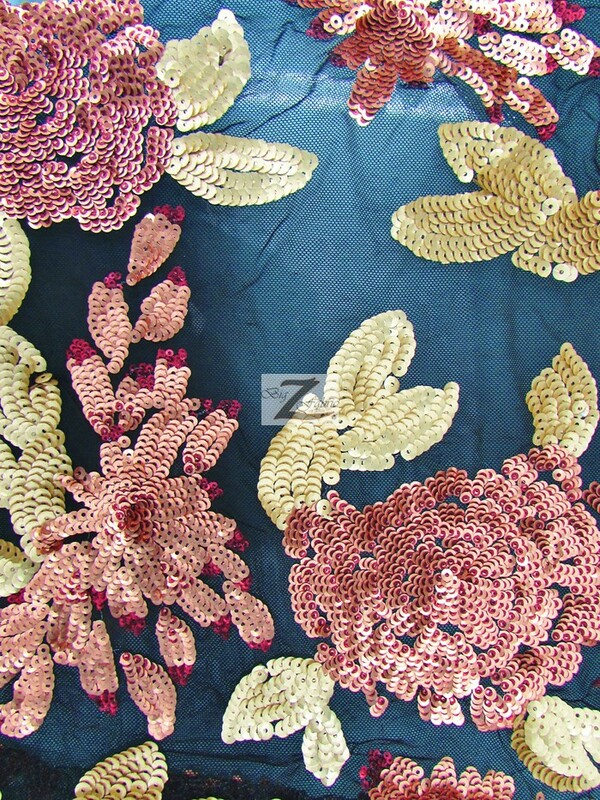 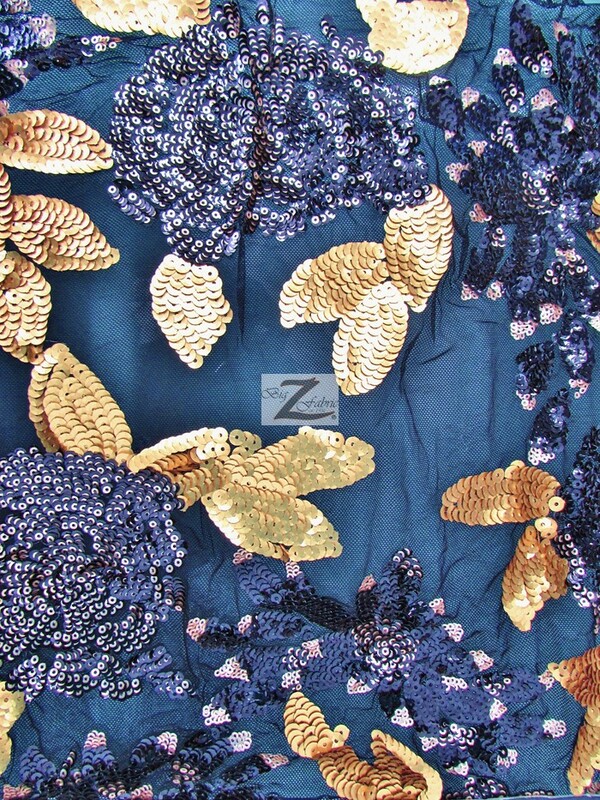 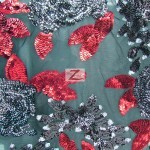 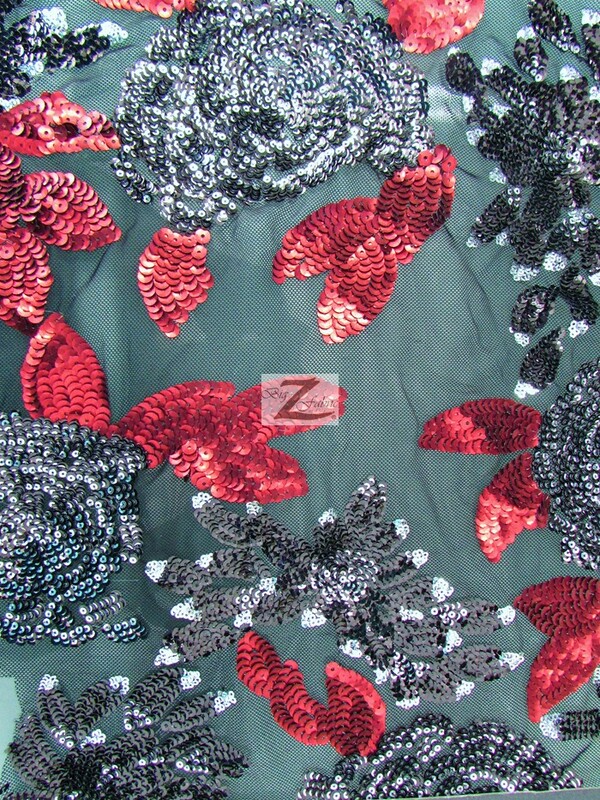 This sequins fabric is sold by the yard and is sold in continuous yards.